Not much remains of the ghost town of Shawnee, but the Graham Commissary serves as a reminder of a time when the town was a busy railroad stop. I’m always glad to see the commissary when I’m in the area, and it remains largely unchanged over time. Julie Graham Weddle writes: Having grown up in Shawnee I have wonderful memories of a great place to be raised. 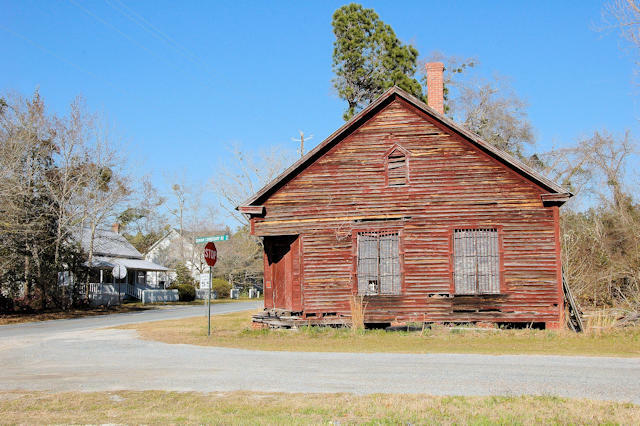 The commissary was my grandfather, Abner E. Graham’s store for his turpentine and sawmill .workers.They bought their essentials from the store. Of course all the staples were in great big bins and were dipped out with a scoop and put in a bag. Thread and other sewing items were on display on the back side of the building. I can remember eating salty smoked mullet from a barrel. Oh, to have some now. Many families lived in the house attached to the store. The cottage was around the corner from our house which was across the road from the commissary. The owners, Cousin Andrew and Cousin Pearl Usher often found us coming in the back door since it was accessible through the garden in our back yard. Her daughter, Miriam, moved to California after she married and thanks to her visits home our family have 8 x 10 black and white photos from the fifties that we cherish.. The Community House was the site of my 16th birthday where my Mom, Jewel Graham, baked and decorated a cake that any baker would have been proud. The year was 1958 and of course the “golden oldies” were all the rage. As we use to say, ” A good time was had by all.” I don’t want to go back in time but it makes me sad to think that our little town is gone except for a few houses and a store. 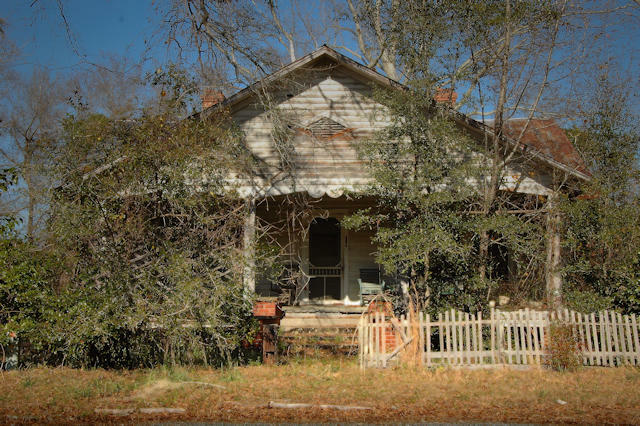 Wyatt Morgan writes: This house belonged to Mr. James Usher and Mrs. Pearl Padgett Usher. She lived in the house well into her 90s. She died in the late 80s. They both are buried in the local church cemetery. 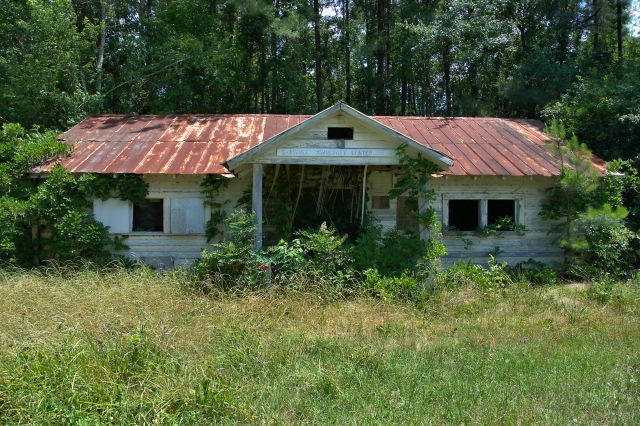 The family still owns the house and the inside is the exact same as it was the day she died. I am 37 and she used to baby sit me. We would eat rice crispy treats cereal next to the wood burning stove in the kitchen she still to cooked with….with the help of the occasional hot plate.